28 November 2017 – Johannesburg: The issue of water quality has become topical in the aftermath of the contamination in the Olifants River catchment in Mpumalanga over recent decades, as well the surfacing of acid mine drainage from old and abandoned mines around Gauteng and other provinces. 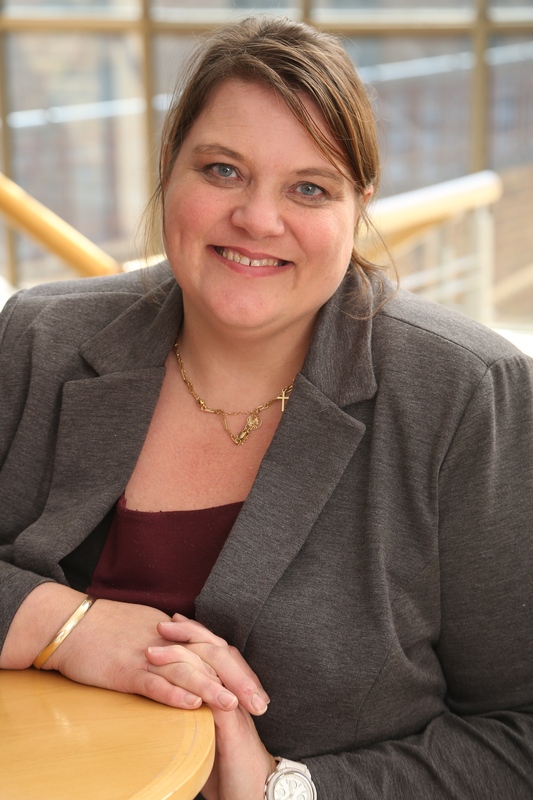 In a paper presented at the 13th International Mine Water Association Congress held in Finland recently, SRK Consulting principal hydrogeologist Sarah Skinner highlighted that nitrogen is one of the contaminants of concern in the Olifants catchment. Here, the average nitrate concentrations in some areas can be as high as 45 milligrams per litre as nitrogen – with some areas showing concentrations of less than 1 mg/l and others up to 80 or 90 mg/l. This average is well in excess of the official national South African drinking water quality standard of 11 mg/l – as set out in SA National Standard 241-2015. “So even before some mines start up, the nitrogen levels may already be very high,” said Skinner. Skinner’s presentation advances tools for mines to more efficiently identify nitrate sources in surface and ground water. Mining can result in increased nitrogen levels in groundwater through the use of nitrogen-based explosives. Most commercial explosives contain between 70% and 90% ammonium nitrate – which is highly soluble in water. Spillage, dissolution in wet holes and incomplete detonation during blasting activities results in soil and water contamination with nitrates, nitrites and ammonia. Nitrogen-rich water is typically pumped from the underground workings and then circulates through process water dams, the tailings dam return water and the concentrator plant. If not contained in the mine water circuit, surface spills or seepage through unlined facilities may pose a risk to groundwater. Around many mines, however, there are human settlements that also contribute to higher-than-average nitrogen levels – usually through sources like pit latrines and cattle lots. Tilling of soils and the use of fertilisers, as well as the natural geology, can also add to the nitrate content in the water resources. Based on data from a study at a South African platinum mine, Skinner outlined how a number of different tools were used to establish the sources of elevated nitrogen levels in the water in the area of the mine. Like all water use licence holders, mines are required to meet quality standards in water management, so must monitor and address any changes in water quality over time. In her presentation, Skinner said each of the tools in the study provided a ‘puzzle piece’ that could be used to establish a fuller picture of nitrogen sources in and around the mine. “In the study, we looked at water chemistry, stable isotopes and nitrogen isotopes, as well the natural geological and hydro-geological conditions in the area of the mining operation,” she said. The use of nitrogen isotopes, for instance, is one of the better ways to establish whether the source of the nitrogen is from human and animal waste – as opposed to chemical fertilisers and explosives. These results pick up a ‘fingerprint’ in the nitrogen isotope, which is indicative of where the nitrogen originates. Conventional nitrate analysis only gives quantitative data and does not discriminate between sources. This is all part of a multi-disciplinary and multi-faceted approach, which can identify the origin of the source. Once the source is identified, further assessments are required to identify the most practical and cost-effective management measures. A conceptual hydrogeological model is used to identify the direction of flow and depth to water table or topographic surface. Furthermore, knowing the flow rate allows for the development of a site salt balance which will further inform the water management around the mine and allow mines to highlight to management those sources most likely to affect the water resources. 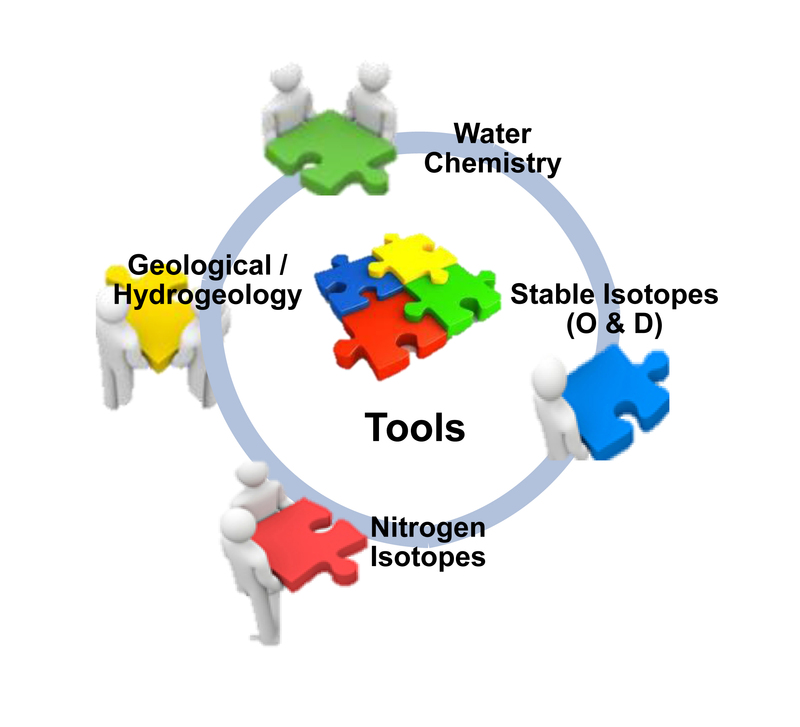 The use of multiple tools in the source assessment allows the question of “Where is the source of this nitrogen?” to be answered. Where sources are unrelated, mines can motivate for changes to the regulated limits – as well as provide the regulators with useful information on which to take the necessary steps in addressing non-mine related impacts to the water resources. Where mines are having an impact, strategies can be focused on the priority sources where management will achieve the greatest improvement or offer the best protection to the regional water resource. SRK Consulting principal hydrogeologist Sarah Skinner. Figure 1. Tools used in the integrated approach. 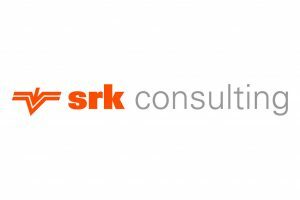 SRK is an independent, global network of consulting practices in over 45 countries on six continents. Its experienced engineers and scientists work with clients in multi-disciplinary teams to deliver integrated, sustainable solutions across a range of sectors – mining and exploration, water and waste, environmental and social impact, civil and infrastructural engineering, and energy. SRK’s focus helps clients to grasp the opportunities and embrace the risks now emerging as commodity prices improve with signs of economic recovery.